My mom needs a new clock in her bedroom and a large clock with dark numbers fits the bill. large one for large living room. Like the size and features of this clock. My husband's eyes are not as sharp as they were so now larger the better. 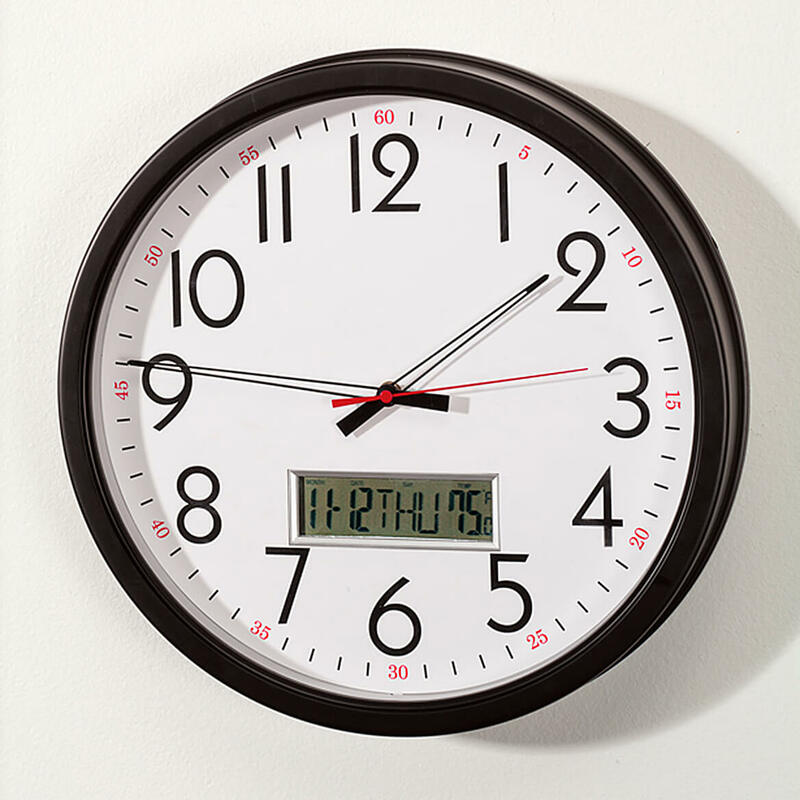 This clock is great. Easy to read and looks good. Because of the large easy to see numbers and the second hand,Plus the Month & Date feature. 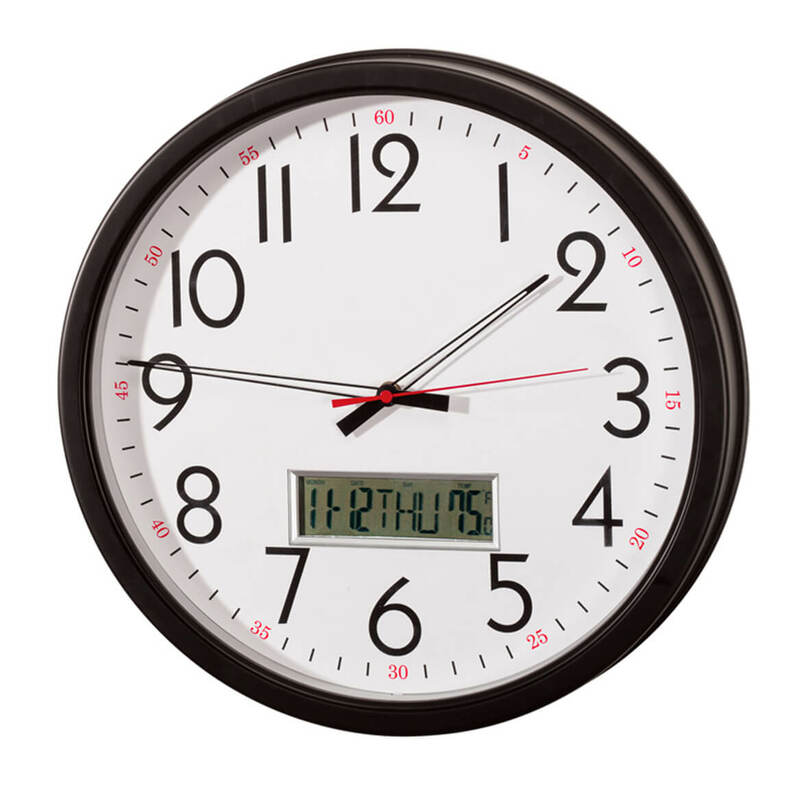 To replace similar analog clock in my son's room. This clock has temperature reading and I really like that. need one in our home and this was on sale and looked big enough to read. do the clock glow in the dark? BEST ANSWER: No it does not glow in the dark. No, it doesn't glow in the dark. how do you mount the clock onto the wall?